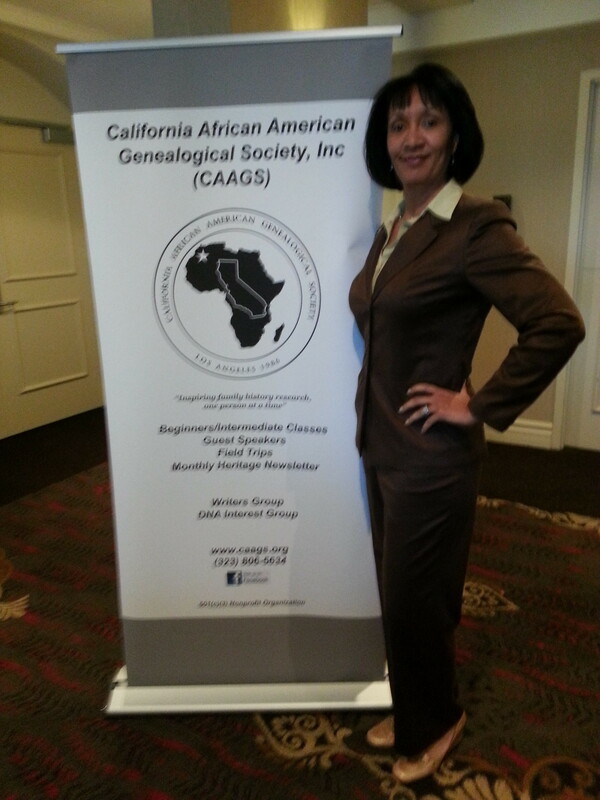 30th Anniversary, California African American Genealogical Society (CAAGS) conference 17-19 March 2016. 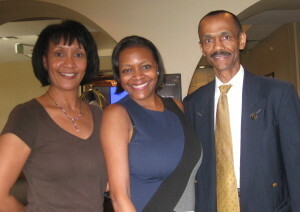 (l to r) Anita R. Henderson, Kenyatta Berry, host of the PBS program, “Genealogy Roadshow”, and Michael N. Henderson. 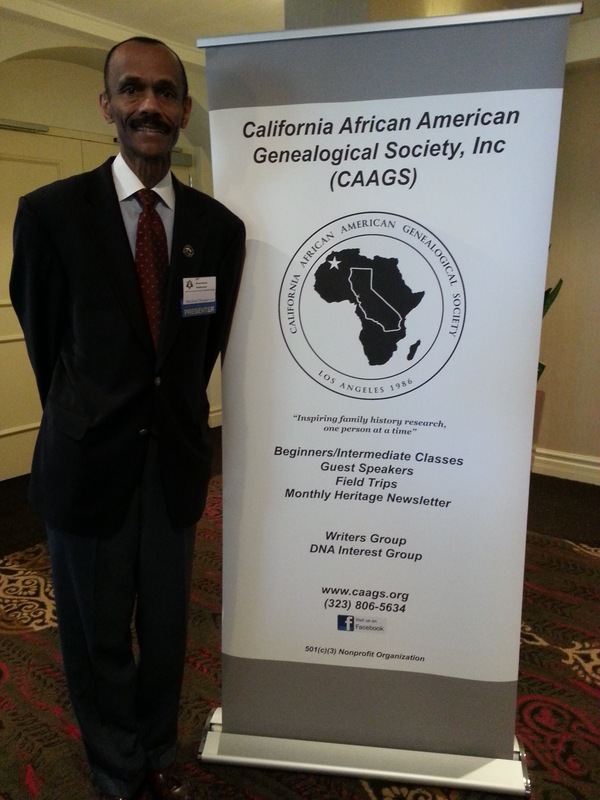 On 17-19 March 2016, I had the pleasure of participating as a speaker at the 30th Anniversary, California African American Genealogical Society (CAAGS) conference held in Los Angeles, California. This year’s theme for the CAAGS conference was “African American History is American History: Reaching In, Reaching Out”. 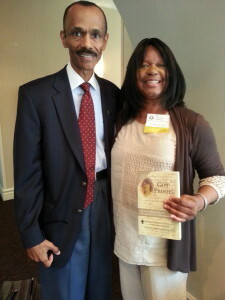 Also among the lineup of speakers was Anita R. Henderson, publisher of my book, Got Proof! My Genealogical Journey Through the Use of Documentation. 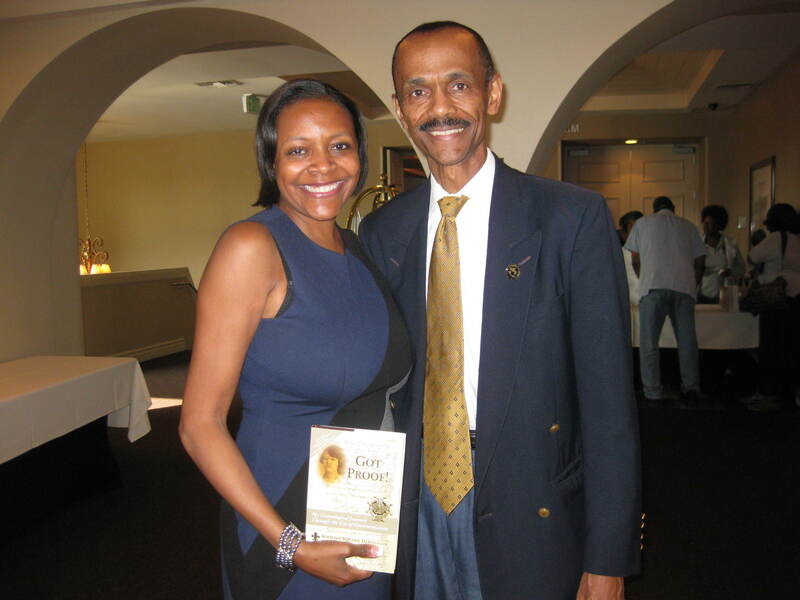 One of the highlights of this conference was meeting Kenyatta Berry, host of the popular PBS program, “Genealogy Roadshow“. 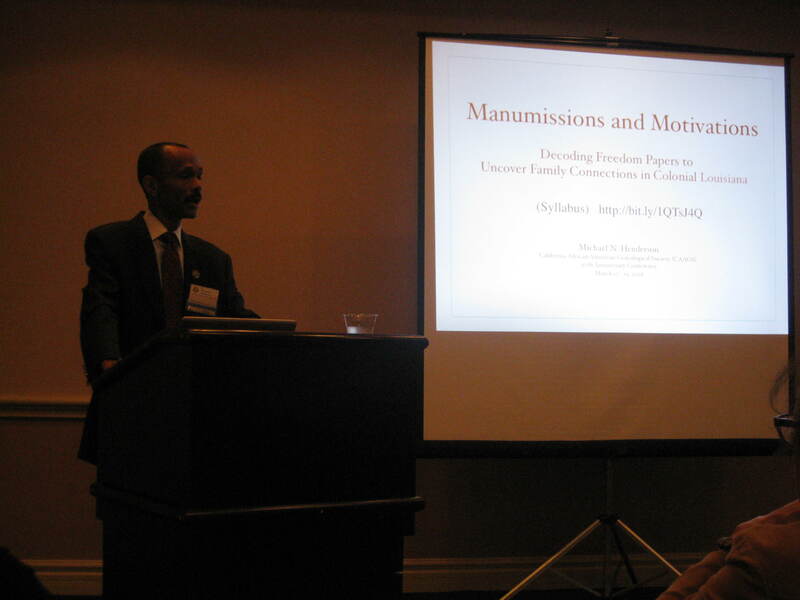 Kenyatta presented the closing plenary session titled, “The Changing Face of Genealogy”. Michael Nolden Henderson presenting a talk at 30th Anniversary CAAGS Conference, 17-19 Mar 2016 in Los Angeles, California. I presented two sessions — Manumissions and Motivations: Decoding Freedom Papers to Uncover Family Connections, and Black Women, White Men: Embracing the Forbidden Fruit of Genealogy. I also co-presented a session with Anita titled, Publishing to Leave a Legacy, which highlighted the importance of publishing one’s genealogical research as a means of leaving a compelling footprint of your research for future generations to appreciate. While at the conference, I connected with several of my old friends, one in particular was Margeret (Marti) Lewis, president of the San Diego African American Genealogy Research Group (SDAAGRG). When I lived in San Diego several years ago, SDAAGRG was the first genealogy group I joined as I began developing my genealogical research and speaking skills. Returning to California, and participating in the CAAGS 30th Anniversary Conference was like coming home to the group that helped me begin my research journey. While at the conference, I had an opportunity to sit in on a few of the sessions. 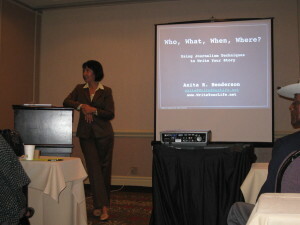 Two sessions I attend were: Who, What, When Where? 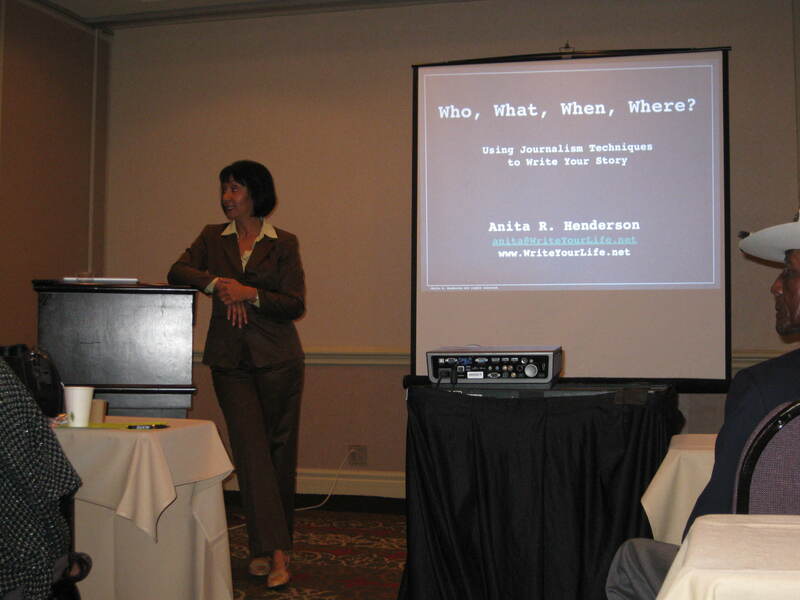 Using Journalism Techniques to Write Your Story, and Nuts and Bolts of Storytelling, both presented by Anita R. Henderson of Write Your Life. 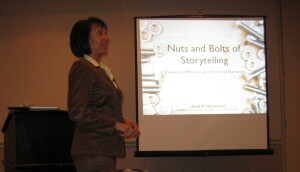 These two sessions were particularly interesting to me because many of the techniques Anita shared were used during my own storytelling journey when I published my memoir, Got Proof! Attending these two sessions gave me a chance to be an example of the outcomes possible for those seeking to write and publish their own stories. Another informative session I had the pleasure of attending was presented by Janice Lovelace, a licensed clinical psychologist with a specialization in child and family therapy. Her presentation was entitled Is the Trauma of Slavery in Your Genes? 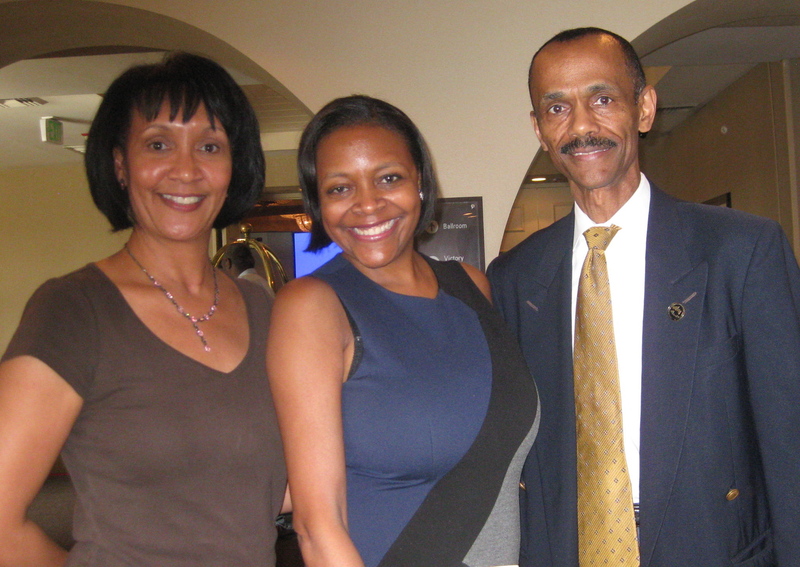 A Look at Epigenetics and Health in African Americans. Epigenetics is the study of heritable changes that occur without a change in the DNA sequence, a fascinating study with far-reaching consequences when considering the trauma of slavery and its effects on African Americans. 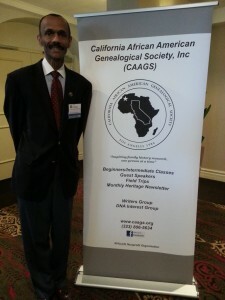 Many thanks to Dr. Edna Briggs, President California African American Genealogical Society and members that helped make this year’s conference a success. A special thanks to the members of CAAGS, who made my participation in this year’s conference enjoyable.